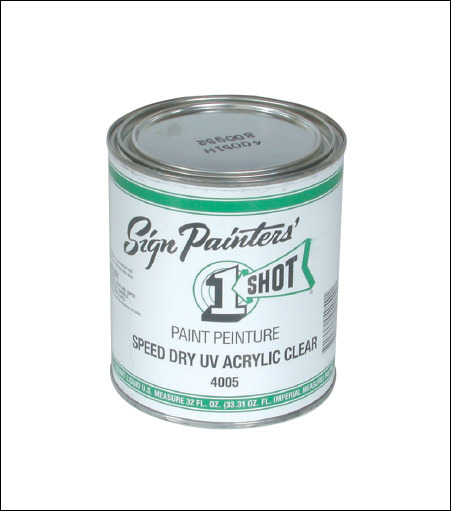 Speed Dry UV Acrylic Clear - a super clear, fast dry and blister/stain resistant topcoat from the One Shot product line. It's a multi-purpose solvent based acrylic clear with ultra violet absorbents that help protect against color fading. This product is for interior or exterior use on PVC pressure sensitive vinyl.